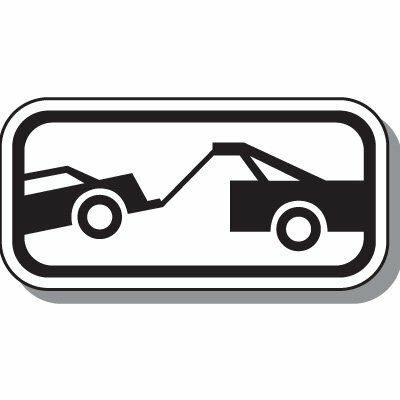 Spare your employees and visitors from the trouble of getting their cars towed by providing ample reminders about your parking policies. Clearly mark off tow away areas by putting up Tow Away Zone Signs. 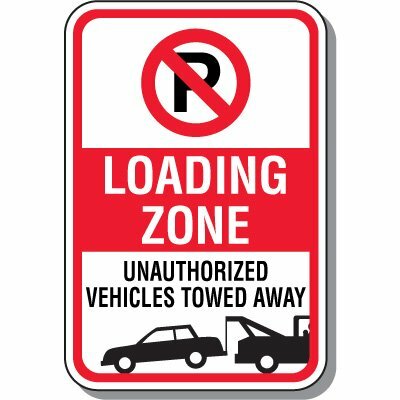 Seton’s large selection of parking signs includes tow away signs which are available in various size formats and materials. These parking enforcement signs are pre-printed with standard wordings and easy to recognize graphics to instantly inform people that certain areas are parking off-limits and violators at any time would be immediately sanctioned. Made from quality and durable materials, these signs won’t fade, chip, or dent even with harsh outdoor conditions. 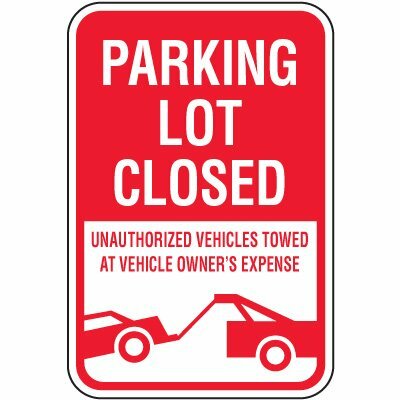 Use eye-catching Tow-Away Signs from Seton to inform your employees and visitors of areas that are not open for parking. 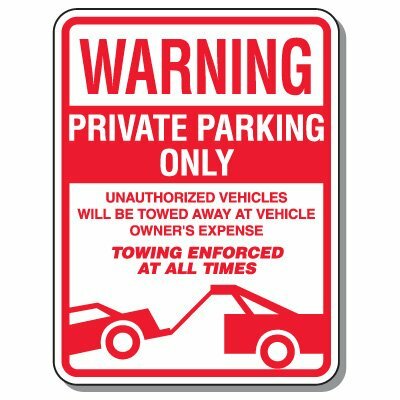 These signs are efficient in reminding them that their cars would be immediately towed away if they violate your facility rules. Available in different formats, we have lightweight and recycled plastic signs that will surely fit your budget and requirements. If you have a rather more culturally diverse employees, we also carry bilingual signs that have both English and Spanish translations to make sure that everyone will understand your message. If you have looked hard enough and still can’t find the perfect sign for your facility, no need to worry because we can customize signs for you. With our easy to use “design-your-own” platform, you can create your own custom tow away sign even without design expertise. Just choose from a variety of style templates available, size, material, overlaminate option, and provide us with your own wording – then it’s good to go! As the industry’s trusted sign manufacturer, we guarantee that we’ll create your signs according to your exact specifications.